Creating great content is indisputably the first and most crucial element of an effective content marketing strategy. But the second, and no less important, step is honing your outreach practices in order to earn placements with the publishers you’re targeting. BuzzStream and Fractl collaborated to survey more than 500 publishers for a two-part study to learn how to engage publishers more effectively, and the answer to improving your pitch open rates is this: 10 meaningful words. Here’s why—and how. Content marketing is booming, which means that you’re facing more competition than ever in publishers’ inboxes. Editors at some top-tier publications are receiving more than 300 pitches a day. Sorting through 1,500 pitches per week means that press release fatigue is the new norm for high-authority publishers, and they have a limited amount of time and patience for considering your content. The frenetic pace of content promotion is precisely why keeping your pitch concise and to-the-point is critical to getting noticed by popular publishers. In fact, “descriptive” and “brief” were two of the top four qualities that publishers told us were present in pitch subject lines they want to open. Since we learned in our first publisher study that 85% of publishers open pitches based on your subject line alone, implementing these qualities can make a dramatic improvement in your outreach efforts. Here are four quick fixes for giving your pitch that competitive edge. Pitch specifically to a writer’s beat. More than 60% of publishers told us that the best subject lines spoke directly to their beat. In order to create a subject line that meets this criterion, you must first get to know your prospective publishers via their recent work, blogs, and social networks. Learn the nuances of their beat, the topics they like to cover, and the tone of their articles. While researching writers and editors may take a few minutes on your part, the time invested will be worth the effort when you’re able to capture their interest and earn more click-throughs with highly specific and descriptive subjects. Be careful not to lean too much on overly-inflated superlatives like “life-changing” or “breakthrough” when describing your content. These types of descriptors can be perceived as too provocative—or even worse, as clickbait. Some hyper-vigilant spam filters also flag phrases like these, which means your email will end up in the spam folder without ever making it to the publisher for consideration. Offer raw data and visualizations. Effective outreach doesn’t rest on press releases; in fact, only 5% of publishers are interested in receiving them. On the other hand, 65% of publishers are interested in data visualizations like infographics, high-quality photos, and videos. Visualizations are some of the most-shared content on the web, so offering engaging images is certain to earn interest from publishers who have an eye on their social traction. Even more strikingly, 85% of publishers would like access to the raw data from your campaign. The ability to investigate your information allows them to pursue their own angles on your topic and verify your findings. If you can offer one or both of these types of assets, let publishers know in your pitch subject lines, and they’ll be far more likely to open your emails to look closer. Building and maintaining relationships with publishers is one of the most valuable practices in content promotion. Publishers are far more apt to consider your pitch if you’ve proven your content worthy of their time in the past. If you’ve worked together before, say so in your subject line, and 66% of our respondents said they’d be more likely to open your email. If you haven’t yet worked with a publisher you’re targeting, fear not: a few thoughtful comments on their articles or social media accounts can also earn recognition in their inboxes. Genuine, relevant, and insightful comments can go a long way in showing publishers that you are paying attention to their beat and understand the type of topics they cover. Say it all in 10 words or less. More than half of publishers prefer subject lines containing less than 11 words, and another 20% said they’d like to see subjects of no more than five words. Your subject line is the gatekeeper to your placement rates. Being brief yet informative is the key to making your pitch stand out in a busy publisher’s inbox. Earn their attention with a specific, targeted, and short subject line, and you’re on your way to earning more publisher consideration and placements for your content. 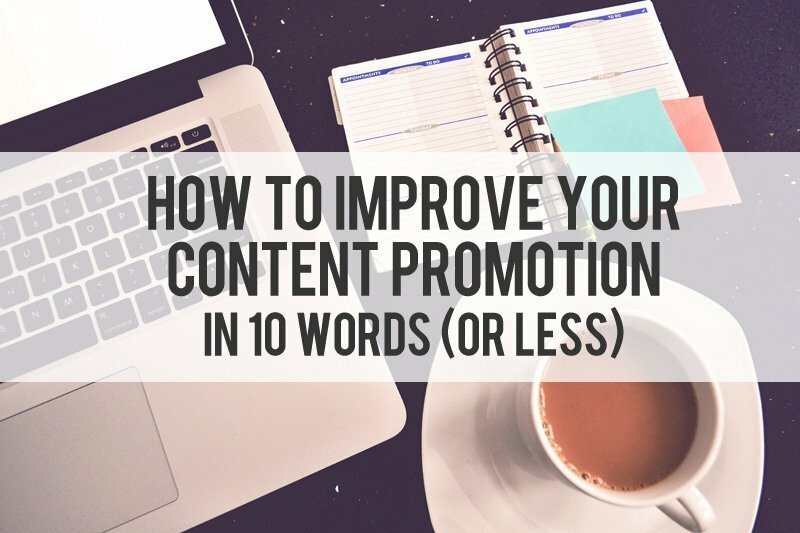 Want to learn more tips to improve your content promotion efforts? Download our free whitepaper on Subject Line Open Rates. Kelsey Johnson is Marketing Coordinator at Fractl, a digital marketing agency. After a decade of designing education and marketing programs for science and history museums, Kelsey Johnson joined Fractl in 2014 to lend her penchant for research, writing, and thoughtful, well-designed content to the group. When she's not working to help make digital content better, Kelsey can be found baking, paddle boarding, or obsessing over the Walking Dead.